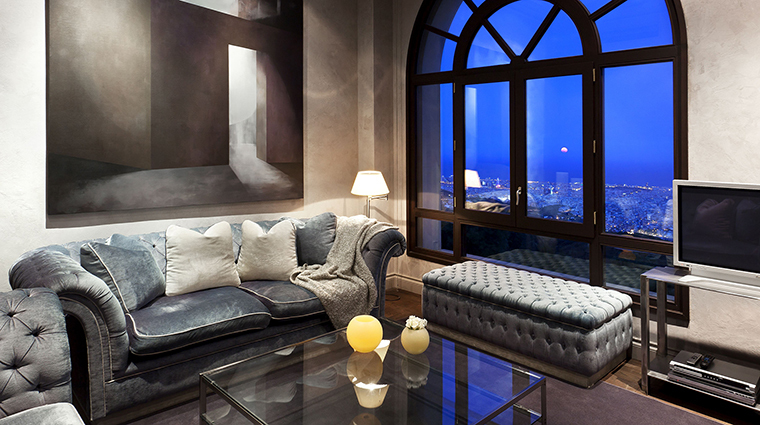 Gran Hotel La Florida is located on Mount Tibidabo and overlooks Barcelona from its gorgeous perch. 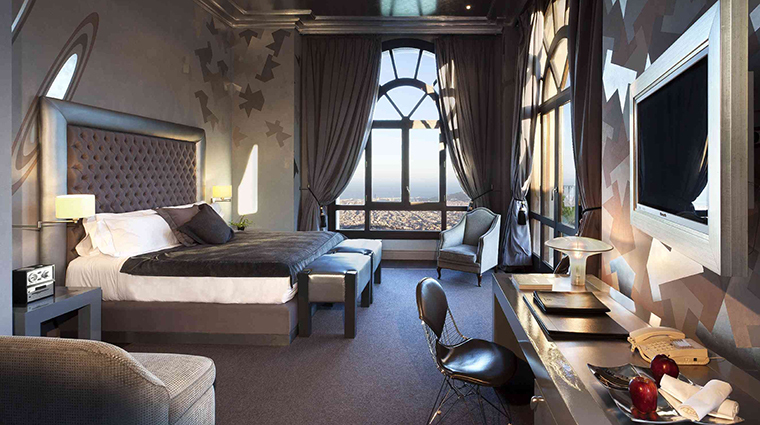 About 20 minutes from the city center, the hotel’s 70 spacious art nouveau-inspired rooms and suites offer awe-inspiring views of the city and the Mediterranean beyond. Built in 1925, Gran Hotel has drawn celebrities from Ernest Hemingway to Rock Hudson over the years, and today celebrities still choose this hotel while in Spain. It also serves as an ideal staycation for the locals, no doubt due to its meticulous renovation that managed to modernize the building but keep much of its Catalan charm. • The splendid views can be had from nearly any point in the hotel, and especially from the huge outdoor terraces designed for guests to take in the dramatic skyline of the city. In the summer it is full of locals taking in the fabulous sunset. 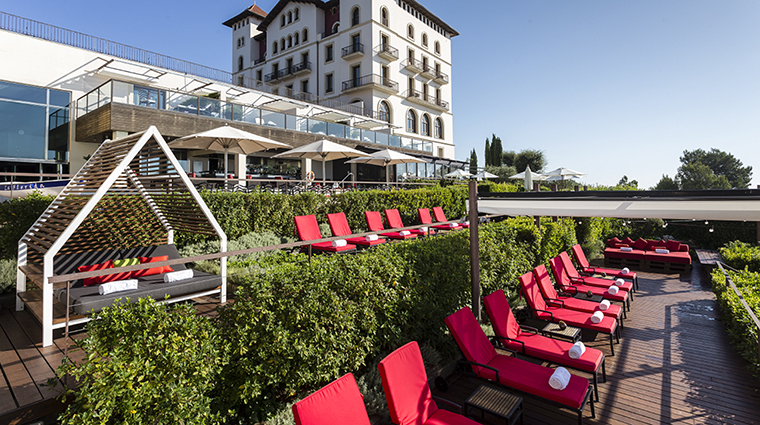 • The crown jewel of Gran Hotel is the 121-foot indoor/outdoor stainless steel swimming pool (heated in the winter), with its outdoor poolside bar, sun decks and sunbeds located on the garden terraces. • This Barcelona hotel is full of art, including a large modern sculpture by Ben Jakob and many other contemporary artists and designers. • Built in 1925 as a hotel, the building suffered the consequences of the Spanish Civil War and it was used as a military hospital during the conflict. 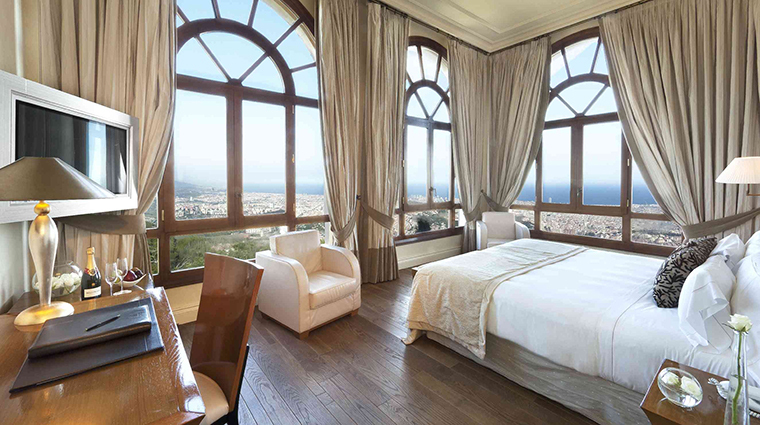 It was not used again as a hotel until 1950, when it became a spot that was beloved by the Barcelona’s high society, especially as a summer residence for wealthy Catalan families. Closed definitively in 1979, the hotel was restored and renovated in 2001. • The luxury hotel offers a shuttle to the city center, about 20 minutes away, several times per day. • Spa by L’Occitane is an ideal place to relax: it has an indoor/outdoor pool, Jacuzzi, steam bath, sauna, pressure showers and a gym. All of L’Occitane’s signature treatments begin with a welcome ritual consisting of a salt foot bath and foot massage. • There are seven spectacular suites designed by well-known artists, and some of them even offer outdoor Jacuzzis on private terraces. These suites each have their own design scheme and are the top-of-the-line offerings at the luxury hotel. • Bedrooms are among the biggest in the city, all with huge windows and some with terraces, and start at 375 square feet. • The art nouveau style of the hotel is carried through to the rooms with dark woods, pops of color and loads of creamy neutrals — it looks very Catalan luxe. • The Barcelonas Restaurant is the top gastronomic experience here, and you’ll taste Catalan dishes by chef Ivan Tarragó, who focuses on local ingredients and what’s freshest at the food market. The cellar offers an excellent wine selection as well. • Les Terrasses Bar & Lounge serves not only on the main terrace, but also in the romantic corners hidden in the gardens of the hotel. A selection of finger food and tapas is available until late at night. 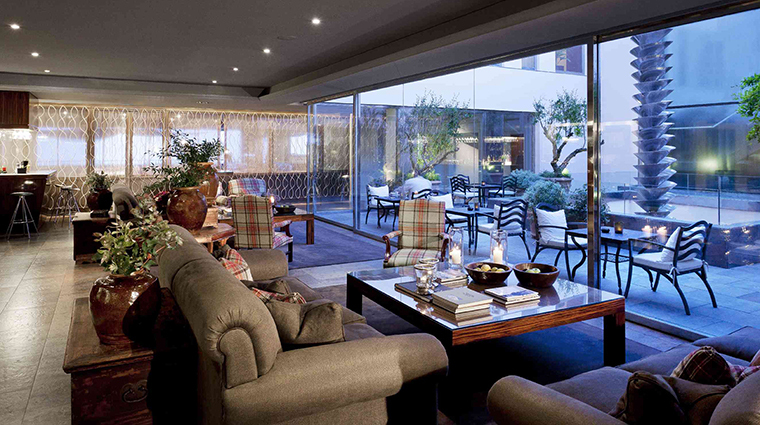 • Café 1925 is the all-day dining restaurant overlooking the Barcelona skyline.